Partiko is a decentralized social app that allows you to directly monetize your content and earn cryptocurrency. Right now, users can earn Steem by creating content on the Steem blockchain. 1. 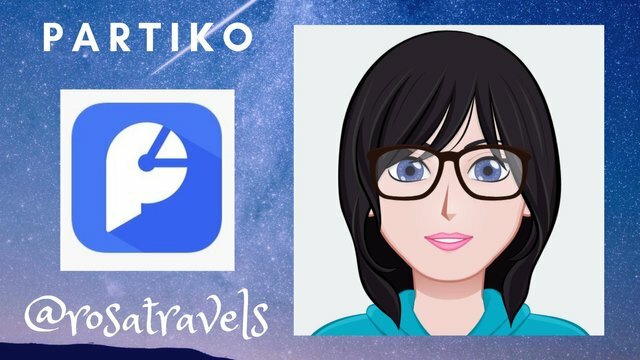 Why I want to review the Partiko DApp? I've been using the Partiko mobile app for a few months ever since its launch and am loving the efficiency use of the app. Right now, there are 6000+ active users and the founder, Sida @crypto.talk, is continously expanding great features into the app. When you look at the State of the DApps ranking, Partiko ranks as the 2nd most used DApp next to Steem. This is truly incredible as Partiko app only came into existence with its launch back in May, 2018. The ranking is based on many factors such as the number of active users, transactions volume, developers activity, profile freshness and strength, CTR and also users recommendtion. The following graph shows the amount of activities and transactions that take place with this app daily, weekly and monthly. Partiko is a simple and user-friendly UI Design that is adapted to mobile use. You can create fun and interesting posts. Recently in the last month, Sida added this new feature: a referral link for all Partiko users. 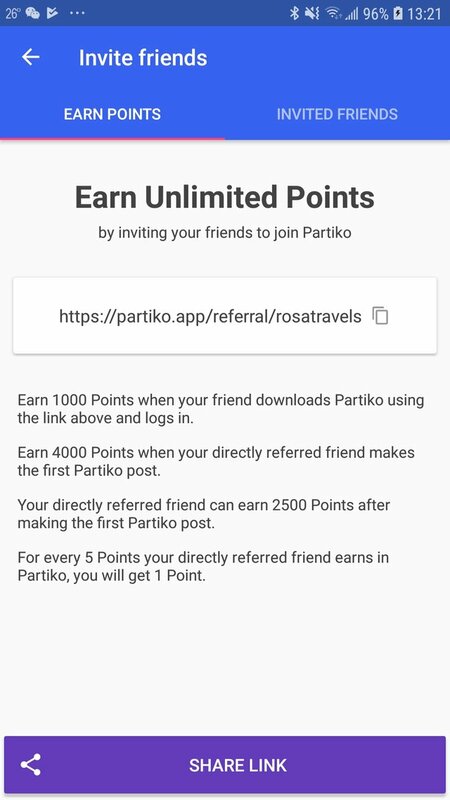 You can now earn extra Partiko Points when you invite friends. The referral link will have your steemit username there. Yours will have your username there. Partiko team has created a very engaging community by bonding Partiko partners to work together to make the community inspiring. Everyday, there is something going on with the Partiko partners in promoting the app. Recently the Be A Mentor program started, mentors and newbies were fully engaged and helpful to each other. Partiko and the team always welcome our suggestions to improve the app. Since I write a lot of reports, I need to show tables. Right now the tables don't show nicely on the app. I have mentioned this to Sida, so the team is in the process of fixing this. I would also like to see a beneficiary tab on the Editor's page where we can give beneficiary percentages to any users from the rewards that we get on the post. With this feature, we can share more of our rewards with others easily. Also, we are waiting eagerly for the desktop client to appear for Partiko. It is in the developing stage. Presently there are 2 other mobile apps that are used on Steem: eSteem and Wherein. Every mobile apps have their own unique shining features. I also use eSteem and Wherein. Esteem mobile app has been longer on Steem, so definitely Esteem has a lot more variety of features than Partiko. While Wherein, being new, lacks in providing many features for users at the moment. When it comes to providing features and components, Partiko is a go-between of Esteem and Wherein. I love Partiko the most because of the man behind the Partiko app. Sida always over delivers. He is always thinking from the users side and wanting users to succeed in all fronts. While Partiko has every right to take a 5% - 10% cut from users for using the app which is found in most platform interface, Partiko doesn't do that at all. It takes ZERO cut from users from the users' earning. Not only that, it ALWAYS give Partiko points as rewards for posting, using the app, replying and writing comments. With the other mobile apps, you may get rewards once in a while and not always guaranteed. With Partiko, you can count on Partiko to give you Partio points everytime you use the app. With Partiko points, users can exchange them to Steem token. In all reviews, we conclude by giving a rating to the DApp. For the Partiko App, I'd give it a 4.5/5. For the founder, the man behind the Partiko app, he deserves 5/5! Know this: The man behind Partiko wants you to succeed! 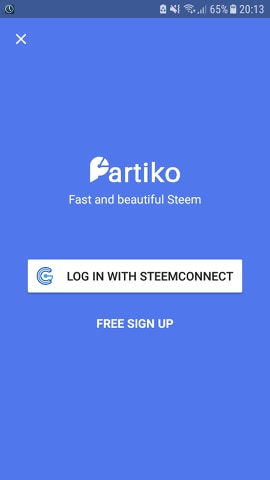 I'd like to use @partiko but would prefer to use my posting key to access by Steem Connect. I dont like using my active key for dapps.